On 19/10/2016, Axis Bank announced recruitment notification for Business Development Executive. Through this recruitment notification, Axis Bank planning to recruit Business Development Executive post who have completed Any Graduate. 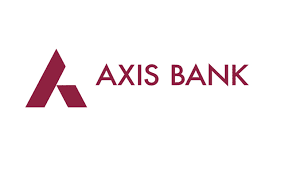 Axis Bank is planning to recruit 68 candidates for the post of Business Development Executive. Interested and eligible candidates may participate in the interview on 26/10/2016. Axis Bank proposes to Conduct Interview for Business Development Executive post. It is not required to apply Offline for participating in the interview. Interview will be held on 26/10/2016 at 10.00 A.M. Eligible candidates can attend interview at Axis Bank on 26/10/2016. Interested candidates attend interview can check out various information like eligibility criteria, salary, Total vacancy, Selection Procedure, Job description, Interview date, Interview procedure and other key information required for the post below. Kindly go through all the below details before attending the Interview. Venue: Axis Bank Ltd. Bhubaneswar Circle Office, Plot no.1, Ground Floor, Nandighosh Estates, Bapuji Nagar, Bhubaneswar. Selection Will be Based on Personnel Interview by the Axis Bank norms or decision . Interested and eligible candidates can attend the interview for the post of ” Business Development Executive ” on 26/10/2016.